As a catholic school we have Jesus at the forefront of everything we do. 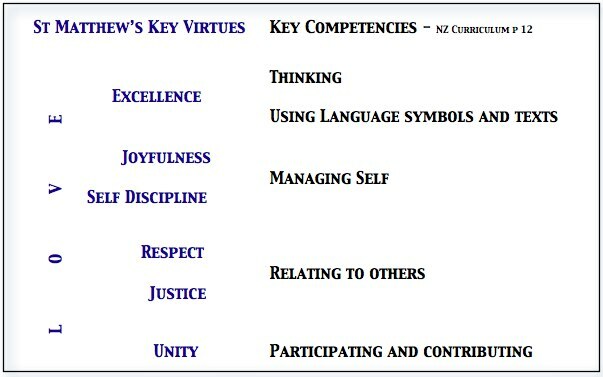 These virtues are key capabilities for living and lifelong learning and are found in the NZ Curriculum as Key Competencies. We see St Matthew’s as a catholic, quality learning community taking a holistic approach in partnership with parents, parish and the wider community. We are aiming for excellence in all that we do.